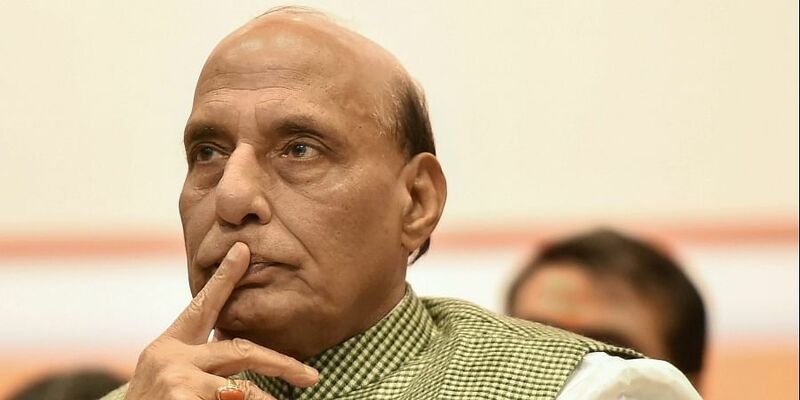 GREATER NOIDA: Home Minister Rajnath Singh Monday asserted that absconding diamantaire Mehul Choksi will not be spared and will be brought back to India to face the law. Singh, who laid the foundation stone for a Kendriya Vidyalaya at a CISF camp here, said this in response to a question about Choksi surrendering his Indian passport to the High Commission in Guyana. The diamond jeweller had taken citizenship of Antigua and Barbuda after his name cropped up in the USD 2 billion fraud at a Mumbai-based branch of the PNB along with his nephew and businessman Nirav Modi. "We have brought the Fugitive Economic Offenders Act and there is a process under that law (to check fraud cases). He (Choksi) will be brought to India for sure. No one will be spared. Action will be taken against everyone," the minister said on the sidelines of the event. As per the law, Indian citizens are expected to surrender their passports when they acquire foreign nationality. Government sources said India continues to pursue Choksi's return with the government of Antigua through diplomatic and legal channels. In August last year, India gave Antigua a request for Choksi's extradition. A team from India was also sent to Antigua to pursue the request. Both Choksi and Nirav Modi are being probed by the CBI and the Enforcement Directorate. The agencies have arrested several people and filed charge sheets in the case.